A Brazilian jiu jitsu blackbelt under Tom deBlass and Ricardo Almeida, Garry Tonon is one of the most popular nogi competitiors in the Jiu Jitsu world at the moment. He has earned multiple titles for his teams over recent years and is known by most as a leg locking submission specialist. He gained his current popularity by competing in well publicized grappling events such as Metamoris, Polaris and the Eddie Bravo Invitational (EBI). Tonon was born in New Jersey, USA on the 12th of September 1991. He began his grappling at an early age – 5th grade to be exact. At this time he began his grappling career with wrestling and competed for 5 years up until 9th grade. Some years later, when Tonon was around fourteen, one of his friends invited him along to a local Jiu Jitsu competition and he instantly took a liking to it upon seeing the competitors that day. He became more and more interested in the sport and began attending Jiu Jitsu classes as his friends gym. However, this initial academy that he attended was geared more towards MMA than exclusively Jiu Jitsu and so, deciding that he wanted to focus more on Jiu Jitsu, Tonon left after six months. 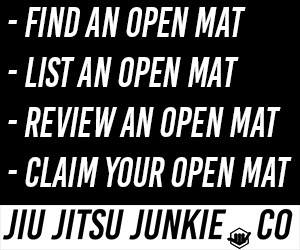 A few weeks passed after leaving his friends MMA gym and then Tonon stumbled across a leaflet for Ocean County Jiu Jitsu academy. The gym was very near to his home in New Jersey and it was a match made in heaven for Tonon who was looking for somewhere that catered to only Jiu Jitsu. The school hadn’t long opened its doors and it took even less time for Tonon to fall in love with the methodology of Tom deBlass. He became a devoted student and began training hard on a regular basis. One year later, and showing great promise, Tonon was invited by deBlass to train with Ricardo Almeida (deBlass’s coach) one per week. This coming together between Tonon, deBlass and Almeida proved a success when Tonon went on to win his first international title in the 2008 world championships in the blue belt juvenile division. It is interesting to note that during this time, Tonon was also studying for a degree in Exercise Science at Rutgers University. For the first five years of his training, Tonon focused mainly on training in the Gi, but eventually competitive success drove him towards nogi competition. To improve his nogi game further he sought out John Danaher at Renzo Gracie Academy in New York. It is here that he began to specialise in his now well known lower limb attacking game. Tonon received his black belt from Tom deBlass and Ricardo Almeida in September 2013.